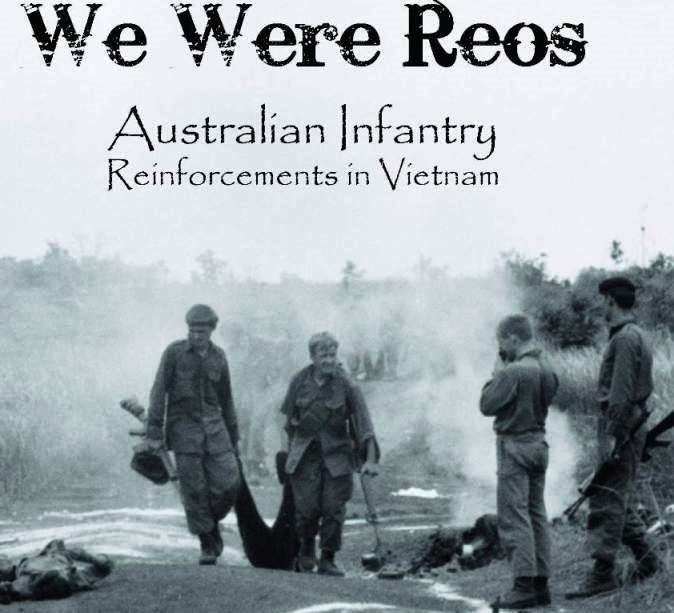 WE WERE REOs Australian Infantry Reinforcements in Vietnam – The experience of being a reinforcement to multiple Infantry Battalions during Vietnam Conflict. The overwhelming generosity of fellow comrades-in-arms in sharing personal experiences and tragedies with me to tell ‘Our Story’ of 12 months serving our nation either as professional soldiers or the wonderful civilian soldiers, ‘The Nashos’ in a life changing circumstance that would be forever indelibly imprinted in our Psyches. 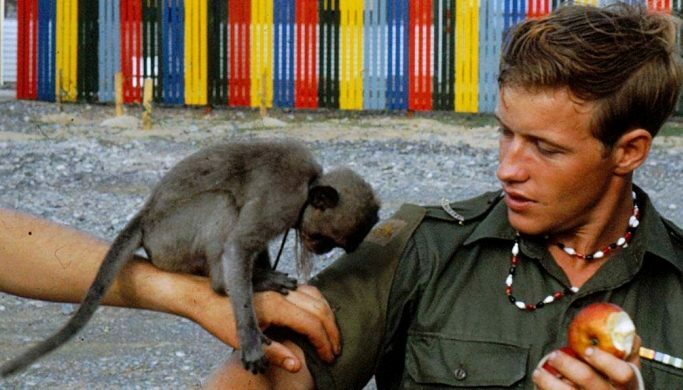 In particular Adrian Craig my Platoon Commander from 10 Platoon 9 RAR who made available his personal diaries that rekindled long forgotten details of life in the paddy field and jungle, the fun times ,the sad and horrifying times. The 4 RAR diggers Brian Avery, Bob Sayce and Allan Wood who shared resources and opinions to bring the 4 RAR days in Vietnam back to life. 39 ‘Regs’ left over from their posting to 4 RAR/NZ and moulded them into a well oiled professional unit. I have drawn upon Jim’s correspondence to give credit to those involved at the ‘listening post’ on route 328 on the night of the 29 May 1969 so they can receive the recognition for their part in a very successful operation. Ted Colmer for his wonderful research and assistance along with Alan Roach and Dennis Manski fellow multiple battalion REOs. Bernie Fitzpatrick, the unassuming true friend, who embodies the meaning of comradeship that revisited the dark corners of his mind to tell of the events of the loss of 2 members of 11 Platoon and has since provided comfort to the daughters of one of the men lost that July day. To ‘Cuz’, Graham Cousins, who carefully guided my memories through the trauma of Rick Abraham’s death adding to the things I have shut out for 40 years. The other most important people to stand by and support me were the family. This project started in 1998 when my son Andrew was studying history at UNSW and he interviewed me for his thesis and laid down the ‘bones’ on which we have built the story. He has been a constant source of pride for me (and I have not told him enough) and a good sounding board. Helen my wife who put up with me locked away in front of the computer and Jenine my ‘little girl’ who is always there. My sister-in-law Jan together with her friend Elaine offered to proof read and correct my manuscript. I took up their offer, a wise decision as my grammar has suffered in the 50 years since I left school. Well Rick I just finished reading your book last night. It’s an amazing story. To survive those nights out in the jungle… I’m speechless. Your story was at times so sad as you described good mates of yours being there one minute and gone the next. I cant begin to imagine what that must have been like. I’ve read about those things so many times in many books from the American Civil War to WWI and WWII and Vietnam but never have I personally known the author. It really resonated with me Rick. I’m so glad you took the time to write about this incredible, horrific, gut wrenching yet amazing episode of your life and to realise how those 12 months affected your whole life is very moving. I am proud of you and all the diggers that gave so much in that theatre of war we call Vietnam. I salute you my friend. DAVID ELLIOTT Speech NSW Parliament , Hansard record. Mr DAVID ELLIOTT (Baulkham Hills) [6.43 p.m.]: I have a great deal of respect for and a deep sense of reverence toward Australians who have served in our armed forces. I had the honour of serving the Australian Army as an officer and as a peacekeeper. Since that time I have grown even more indebted to our service personnel and acknowledge that we owe them a great deal of thanks. Their service cannot be underestimated and the Australian community readily acknowledges the contributions that our veterans make. Showing this respect is an important act of community thanks to let veterans know that their service and sacrifice is not only appreciated but also admired. It would be a moral travesty to think that some veterans were ignored and did not receive the recognition they deserve from the Australian people. Considering the personal cost of military service, it is not sufficient for public gratitude to be softly spoken. Rather, it must be loud and clear so that veterans are left in no doubt as to the public mood on their return. While this appreciative sentiment has always existed, sometimes it takes rather too long for it to be felt by our veterans. One need only look at the embarrassing episode of treatment of returning Vietnam veterans for this issue to become apparent. It is disappointing and upsetting to note that it took 15 years after the end of the conflict in Vietnam before those veterans were given a homecoming parade. As members of this House are no doubt aware, many veterans still feel that their service is not adequately recognised when compared to service personnel in other conflicts. I commend Mr Rick Barney Bigwood, a constituent of mine. Today I had the pleasure of launching his book We Were Reos which relates to his experiences in Vietnam. It is an excellent warts and all, politically incorrect account of the Vietnam War from a serviceman’s point of view. Further, it was a great honour for me to meet so many Vietnam veterans this morning-each of whom deserves our respect and admiration. It is essential for people like Rick Bigwood to step forward and record their experiences for the next generation lest we repeat the mistakes of the past. I shudder to think that something similar to what faced our Vietnam veterans when they returned home could happen again with our twenty-first century peacekeepers. Even if one does not agree with the politics of military engagement, it is the duty of all Australians to respect our serving men and women and to ensure that they are aware of our appreciation. That is why I have written to the Prime Minister to request that our peacekeepers are given a homecoming parade befitting of the heroes that they are. The realities of modern conflicts that have no definitive end dates can mean that veterans do not get the same sense of closure as they did in previous engagements. A parade is a priority to ensure we show our service men and women the respect that they truly deserve.